RxAir Top Rated and Affordable Portable Antimicrobial Ultra Violet Air Cleaner, Featuring a Powerful Hospital/Lab Grade ViraTech Ultraviolet Germicidal UV Light Air Purification System, Killing Over 99% of Bacteria, Mold Spores & Viruses, while Removing VOC's & Disintegrating Odors at a Cellular Level, Sanitizing Rooms Up to 800 Square Feet! The RxAir Air Purification System is more than just another UV air cleaner. 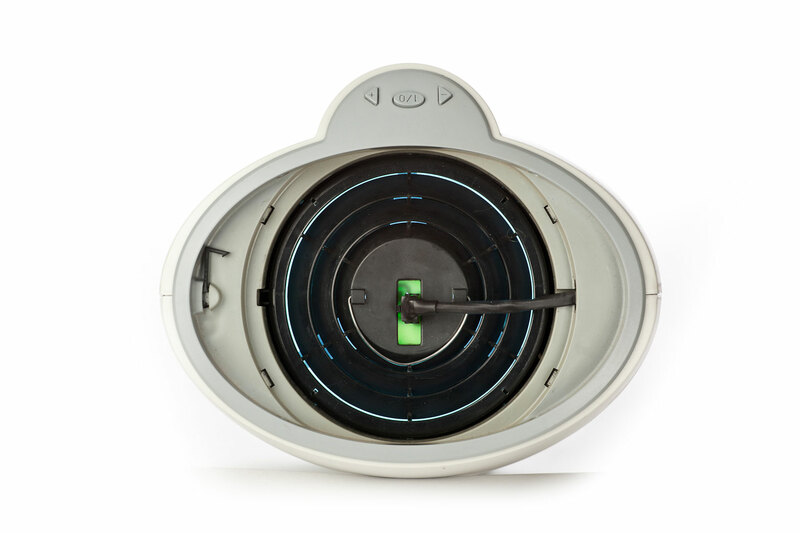 It's so good at cleaning the air you breathe that it's actually FDA-approved as a Class II medical device. 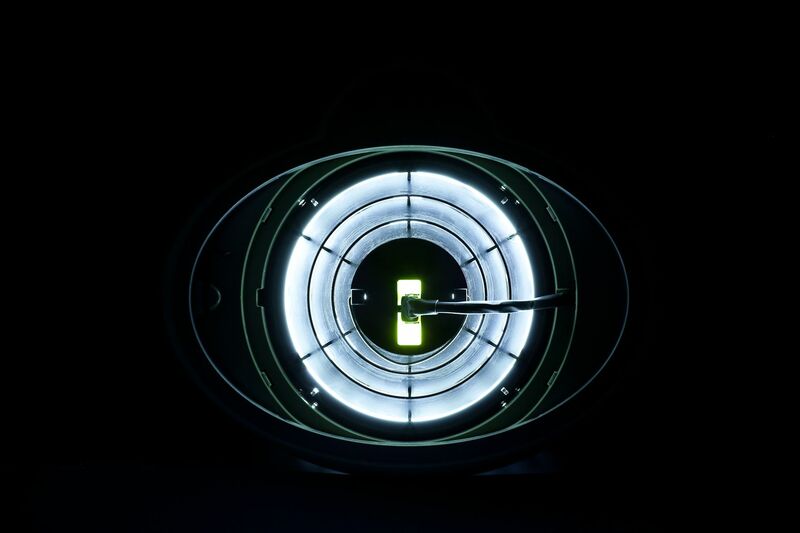 The RxAir draws the air into the chamber where three of the best, most powerful ultraviolet bulbs (approximately 50 watts per bulb) are running full steam. The baffles then provide the necessary turbulence to circulate pollutants and germs very close to the UV-C lamps, allowing the ViraTech germicidal UV-C system to kill over 99% of any airborne bacteria, viruses, dust mites or mold spores--on the first pass, without filters. That gives you peace of mind knowing that the air in your home, room or office is constantly being disinfected. Bye bye cold & flu viruses! The RxAir Air Purification System is lab-tested to provide some of the best germicidal protection and exceptional odor control available by way of a process called 'photocatalytic oxidation'. 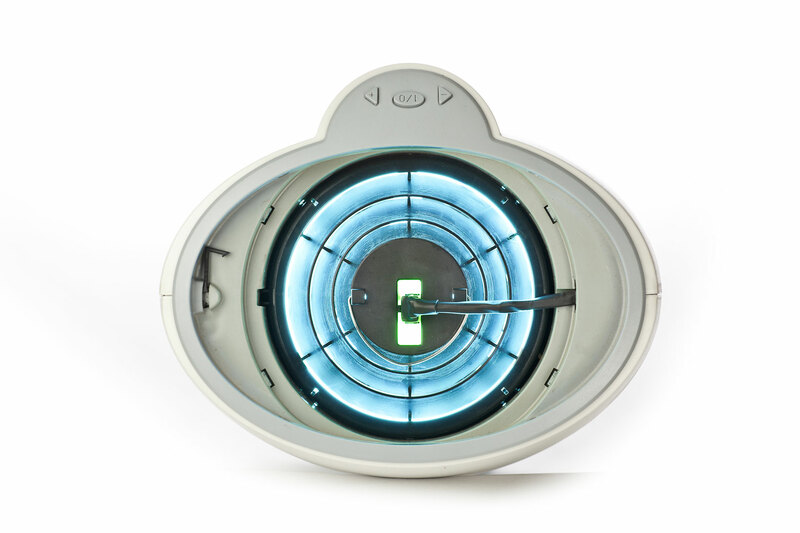 When the RxAir air cleaner's UV-C rays meet with its TiO2-coated filter, which releases highly-reactive but safe hydroxyl ions and super-oxide ions that aggressively seek out destroy other elements in the air, such as bacteria, mold, viruses, and VOC's. VOC is an acronym for Volatile Organic Compounds, which include harmful chemical pollutants such as formaldehyde, ammonia and most odors commonly found in the home (cooking, pet odors, etc). 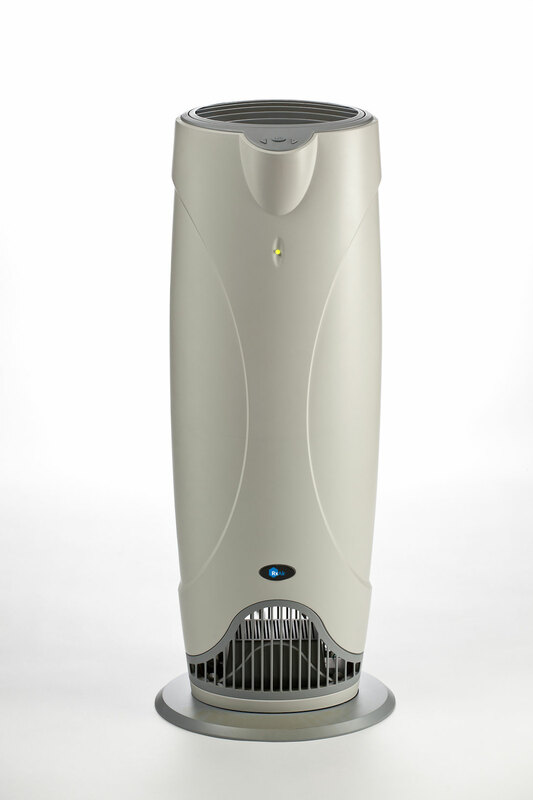 This amazing portable room air purification system offers cleaner air and extra protection for those with chronic allergies, sinus or respiratory issues, COPD, and weakened immune systems since it actually purifies the air, destroying the airborne germs that cause repeat infections, not just filtering the air which doesn't kill anything. It's also best for those with allergies and asthma, as well, since it also destroys airborne dust mites and disintegrates chemical compounds that cause a large percentage of attacks. 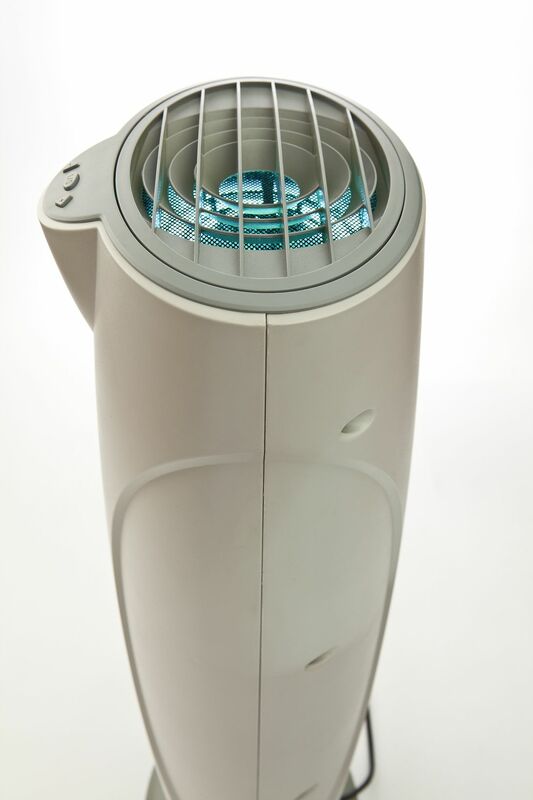 The RxAir air cleaner's hydroxyl ions and super-oxide ions also help those with allergies and asthma by causing the large particles in the air to stick together and drop out of the air, away from where you're breathing so all that's left is cleaner, disinfected air in your home or room. The RxAir Air Purification System is truly one of the best, most effective portable air cleaners on the market with next generation technology that doesn't require filters. 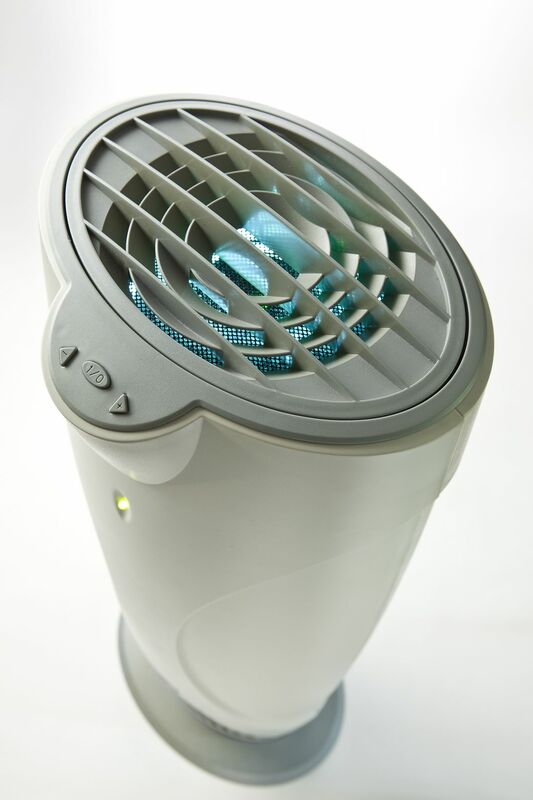 This portable air purifier is excellent for cleaning the air in homes, large offices, salons, conference rooms and more. The RxAir air cleaner also runs very quietly so you can comfortable use it in bedrooms, baby rooms or other areas where the air needs to be cleaned--quietly. And it's only 18 pounds so it's easy to move it to any room or take it with you when you travel. So if you want a quality air cleaner that truly disinfects the air, removes odors, and doesn't require HEPA or carbon filters, try the RxAir Air Purification System today. You have a 30 Day Money Back Guarantee, so there's nothing to lose by trying it. We think you'll love it! Air Purifiers and Cleaners.com sells the best room air cleaners with germicidal UV light that are laboratory and customer tested for top performance and maximum air cleaning value in your home or office. And since we are an online store with extremely low overhead, that allows us to sell all our quality products at the cheapest discount prices with free shipping--so you always know you're getting the best deal possible. If you have questions, just give our team of indoor air quality experts a call toll-free today at 1-800-701-2513. We're here to help!